Pool Renovations Adelaide: Upgrade Your Pool for a Backyard Retreat! 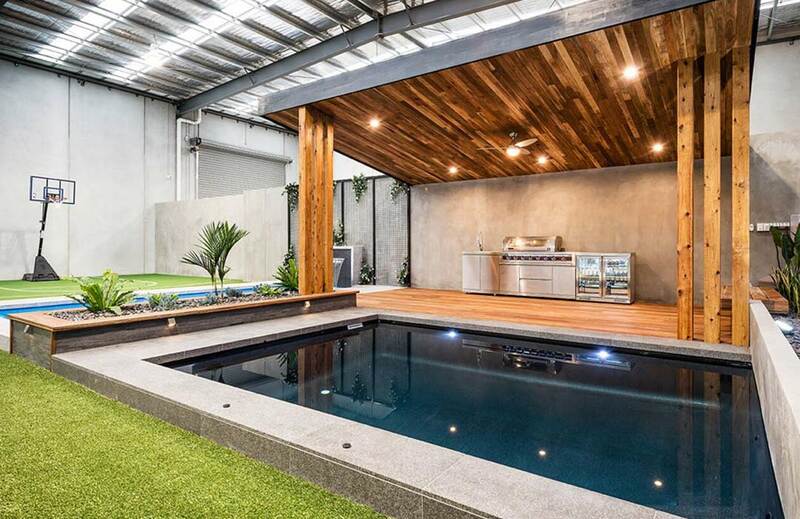 Are you in need of pool renovations Adelaide to bring your backyard to life? Synergy is capable of repairing all kinds of damage to fully restore the safety and functionality of your pool. At just a fraction of the cost of a replacement, we’re able to mend your dislodged or crumbling tiles, worn plaster, broken coping or decking, and everything in between. We believe that everyone is entitled to luxury-living. Sometimes all it takes is a little refurbishing to drastically improve the entire feel of your space. As well as repairing cosmetic damage, we can also fix issues with the filtration and mechanical systems to get everything functioning better than ever. We stand by customer satisfaction and leave no job until we are content with the standard of work completed. So, for a brand new looking pool, trust Synergy to take care of all your pool renovations Adelaide. At Synergy, we take all kinds of measures to ensure that your pool is looking fresh for years to come. Because we’re so confident in our execution and workmanship, we offer our clients an Extended Lifetime Structural Warranty and a Colour Guard Lifetime Interior Surface Guarantee to assure the long life of our fibreglass colour range. We also use anti-microbial technology for protection against algae growth to help reduce pool maintenance. All of these features can be included in the process of renovating your damaged pool to prevent the need for more repairs in the future. Each job is approached with the same integrity, regardless of whether your pool was purchased from us or not. Our team follow a consistent step by step process with every project to optimize time and meet the negotiated deadline. For reliable service conducted at a professional standard, call us today on (08) 8325 0543. Function: We recommend our clients take a moment to consider what their pool will be used for. Whether you’re a regular entertainer or have kids to occupy, we implement these factors into the design. Proportion: Make sure you utilise your outdoor space as best as possible and consider other outdoor features that will enhance your poolside vision. Safety: There are multiple ways we can aid safety such as rounded concrete edges and surface incline to create shallow water. Quality materials: Our materials are all designed to suit the conditions of the Australian climate, so deterioration should never be a problem with Synergy products. We’ll discuss these options with you during the design process to ensure your pool meets all your lifestyle preferences. Do you think it’s finally time to do something about your outdoor situation? Our team will do our best to work within the constraints of your budget and deliver a product which reflects the high standard of Australian outdoor living. Begin your pool renovations today – call us on (08) 8325 0543.